Okay, y’all. Yesterday I did a thing. 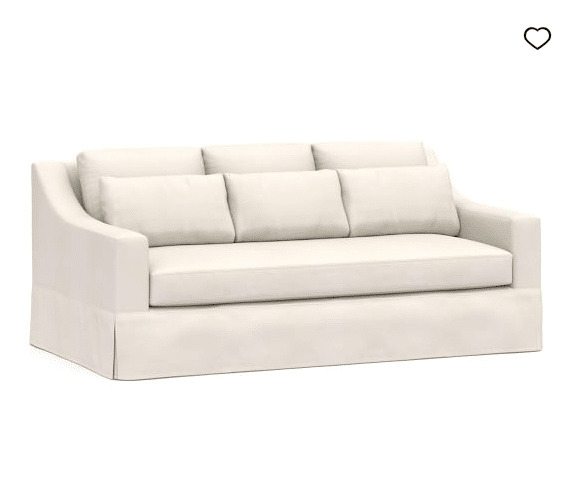 After years of thinking about it and weighing allll my options, I finally ordered a white slipcovered couch (or a sofa, or a davenport haha, whatever you like to call it!) for my living room. Eeek! Why was buying a couch so scary? Or maybe it’s just me. I know I’m an over-thinker when it comes to big purchases and decisions like this. Awhile ago I mentioned that I really want to do a little more work on getting more settled design-wise and furniture-wise in our living room. I feel like our couch situation is what has been holding me back the most, and of course, being an over-thinker, I can sometimes get in my own way. Over the holidays I brought the downstairs sectional (the dark gray one with the chaise) up to the living room. It worked for us all winter (so cozy!) but I’ve been really wanting to move it back as we never intended for it to be upstairs permanently. We still have the leather loveseat which I adore (and may still use in the living room), but it’s just a bit smaller than what we need in here if it was to be our only couch. 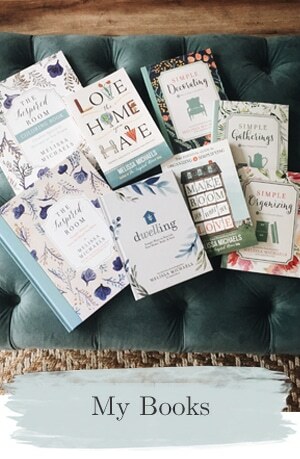 So the things that have slowed me down in making a purchase are: the cost, of course, as well as deciding on design and fabric choices and the preferred placement / arrangement of furniture in our room. So many decisions, so many good options. But, in spite of all my indecision and over thinking every option, the deed is finally done! Sometime in August I’ll have another white slipcovered couch. Now that I’m over the shock and stress of actually buying it, I’m SO EXCITED!!! I decided to trust my heart on this one, even though I could have gone so many different directions. When there are many good options, you just have to land on one and trust it will all come together. You may remember that I’ve always been open about my feelings on white slipcovered sofas (Part One, and Part Two). I love ’em, but I know they aren’t for everyone. All things considered, the white slipcovered sofa served us well. And, the truth is, I’ve missed it and its versatility. I am ready for another! 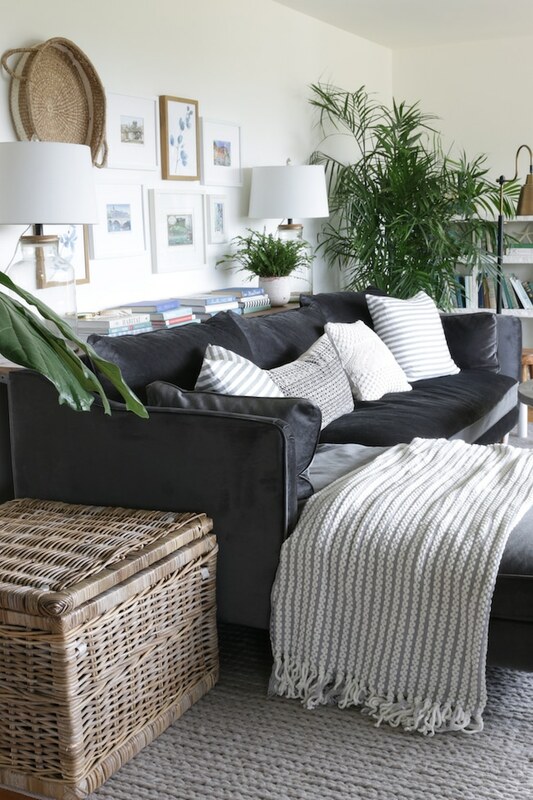 This time we chose a slightly different sofa shape, but I still think it’s going to bring the laid back simplicity and versatility I love in a room. Here’s the new sofa I got (but mine is a soft white denim, not tan as shown in the image above). I’m telling you about it today just in case you might be in the same boat I was, trying to work up the courage to place an order for a new sofa. This is the one I got!! Below you can see the mockup of it in white. The white denim is the same fabric I had on my previous white sofa. It was tempting to try a different fabric this time since there are so many pretty ones available, but I know the white denim was wonderful. It made great slipcovers and was easy to throw in the wash. It isn’t too delicate or sensitive, but it’s still very soft and really pretty in a room. I didn’t want performance fabrics, but they do offer that option, as well as many other lovely fabrics. UPDATE*** The couch arrived, see it in our living room here! I got to sit in it the store and it’s super comfy. Even though we aren’t a tall family, I think the deep seat will be nice for curling up and getting cozy, which is mostly what I want it for :). The regular depth would have been great, too, but I don’t think it came in the fabric I wanted. I’ll share more on our room and report in when the couch arrives, I can’t wait! If you’re wondering on some of the specifics on my couch order, I chose the York slope arm, deep seat slipcovered with a bench cushion, 80 inches long in the Warm White Denim fabric. Phew! That’s a mouthful, isn’t it? Ha! So many options. 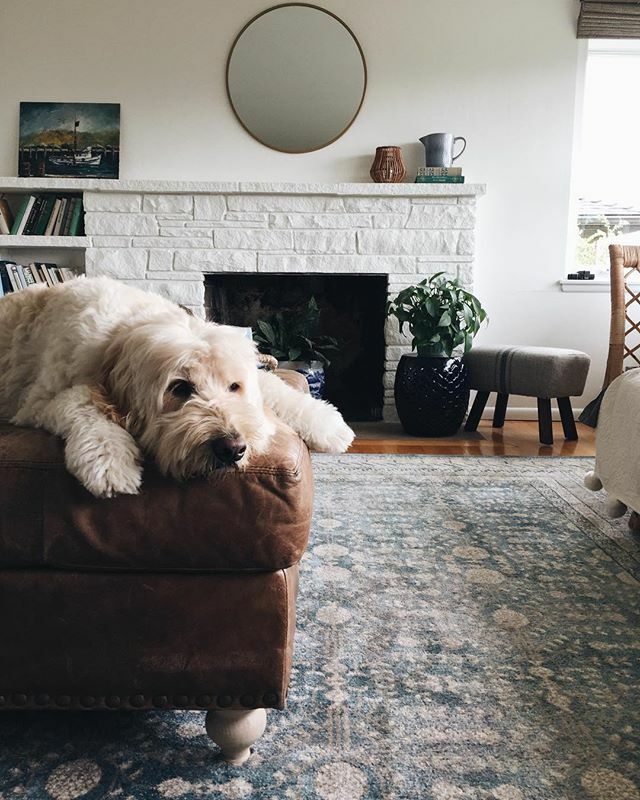 I have always wanted a white slipcovered couch, but I have a dog so I have never gotten one. I’m curious how you make it work with your furbabies? I also have white slipcovered furniture, and LOVE it. No problems with pets, grandchildren or guests. We love our Pottery Barn slipcovered sofa & chair! I actually bought them after reading your original posts. Oh my goodness! I am having the same issue right now! We have an unusual shaped living room and I’ve struggled with the couch placement from day 1 (that was 6 years ago…. ), I’ve moved the furniture to every spot imaginable and just recently I think I have found the solution…but it requires a 2nd sofa. I am trying to find something that goes with my leather sofa too! We purchased a model home that comes with a Pottery Barn white slipcovered couch! Your post makes me feel excited now about moving in!! I feel exactly the same way! I have the money but have been debating for months! I too love white sofas. Thank you for the tip about white denim – it should be sturdier than twill. Will update you if I actually order! I’m considering the Buchanan. I bought a Pottery Barn sofa and loveseat over 20 years ago. I started out with Navy slipcovers. Later bought Butter Yellow, and now have White! I’m about to put some of the white covers in the laundry after a year’s wear. The furniture is so comfortable that some family members sleep on it instead of using the guest bed when they visit us. Love the look, the comfort, and the good value. Congratulations! I hope you love your new sofa! I have white denim slipcovers on my beautiful Stickley sectional. We have a dog and a (black!) cat, and both of them love to lay on it. The dog doesn’t shed but the black cat does a bit. (I have a great vacuum for that!) I wouldn’t call it a “breeze” to wash the slipcovers because of the effort needed to take them off and put them back on. But they launder beautifully and I have no complaints there. If I had it to do over again though, I’d get a standard depth instead of the deep one. I’m 5’8” with fairly long legs and my husband is also 5’8” with shorter legs. He hates the sofa because of its depth. We both need a couple of throw pillows behind us to sit normally. Otherwise we just half sit/half lay on it. I had my (then) 14 yr old Flexsteel sofa reupholstered in brown velvet with the attached back remade into 3 loose cushions in 2014. The same guy made me a white denim slipcover for it same time. (Cozy winter velvet with fresh white rest of year). 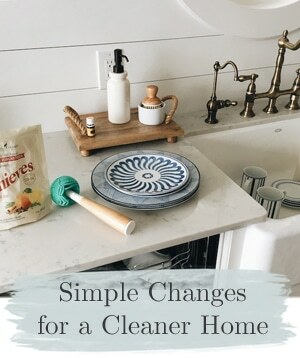 For the messy guest or my daughters visiting dogs, I used a throw so I didn’t have to remove all the covers every time dog paws or chocolate or wine was spilled. It’s been wonderful. My dog (doodle) got trained to sleep elsewhere and she doesn’t shed anyway. We shared a rental last summer for 4 mo with daughters family and most spills wiped off the white denim anyway. Your review of the sofas you have owned reminded me how long I have been following you! I love white sofas and have one now that is pushing 13 years of age. 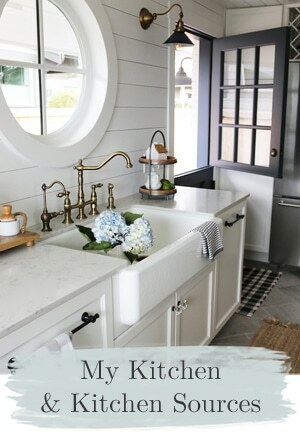 It is so well made and a few years in, I had a set of white slipcovers made in twill. Over the years (its our only sofa) it has had a lot of use and is harder to get clean, so I am considering another set of white slipcovers. They are easy to clean and so durable! I used to work at a furniture store and I was so glad to read that you had gone to a store and actually sat on it. There is so much difference in sofas and chairs and how they sit. Too deep? Not deep enough? Lean back too far or are too straight? Arms too high or too low? Too soft or too firm? Well you get my point. When you remove the slipcover to wash what does the sofa look like? We never carried slipcovered furniture. I detest the look of the slipcovers you can buy in catalogs. Love the look of your new sofa, doesn’t have a slipcover look. Are all the pillows removable? Hi there, love everything about this sofa. What a great choice. I’m looking to buy a new sofa at the moment and this one looks perfect. 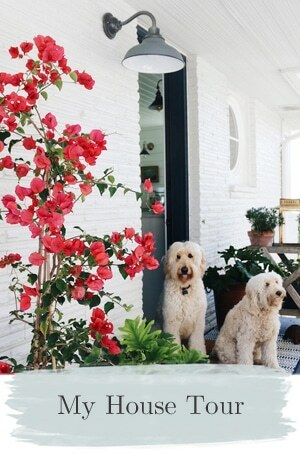 Does this mean you will be painting your walls another color or still keeping them white? We moved into a new-to-us house a year ago. Our 13 year old Crate & Barrel (red! twill) slip covered sofas are ready to go to the basement tv room…..as soon as I pick out new sofas. But it just feels like a big decision since they are expensive and will last several years. 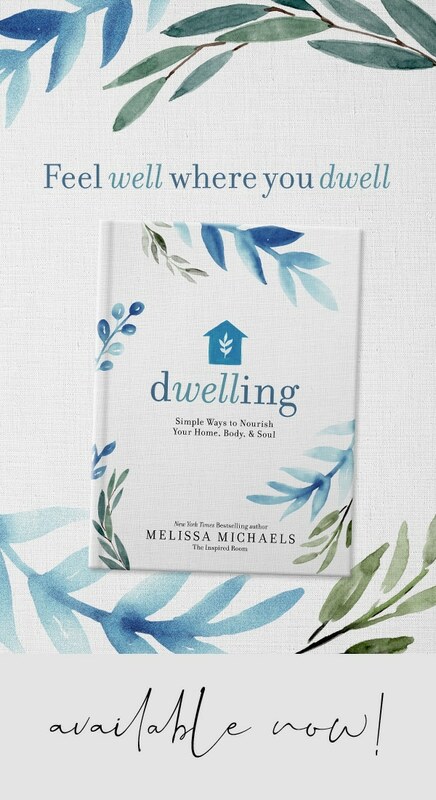 Since we moved I am re-reading your book Love the Home You Have and it is so helpful to me. Our house is lovely, but all the walls in the kitchen/family room/sunroom are painted SW Accessible Beige! (Swine:)!) and I don’t know whether to paint them all BM White Dove or something with a little color. I’m fearing it might be too much white. Any heights? Anyway, thanks for sharing your ideas and progress!! FWIW: we used White Dove and it is a little creamy rather than stark white. Our trim is a generic true white, but I love the way there is enough of a hint of difference between the shades. It definitely doesn’t feel like a cold, sterile white room. LOVE KariAnne and can’t wait for that book to come out!!!! And, your new sofa choice. Excellent!! I bought the PB slip covered sectional with matching oversize chair/ottoman and unfortunately am terribly unhappy with both them! It was a HUGE purchase for us, so advise others to carefully research before making the investment. Our biggest complaint is the very little support in the back cushions (poly fill), so we end up stuffing piles of extra pillows behind us each night to avoid developing back pain. Overall, we find it as a very uncomfortable sofa, and would re-sell the entire set in a heartbeat if I thought I could recover enough of our investment. Any tips for reinforcing the back cushions with more support would be appreciated! A good reupholstery shop can add some firmer fill to your back cushions. We did that when we had our slipcovers made, and it made a huge difference. I have 2 matching large slipcovered white denim sofas facing each other. Keep a tide bleach pen in the room and resolve to clean them twice a year and you will be set! I soak mine in Oxyclean when necessary. I knew from a mile away this was the York sofa from pottery Barn! I happen to work there, and am curious on your choice of fabric. It’s a great fabric, and a super comfy couch I know you’ll love when you get it. But if I were selling you this couch (knowing you have kids AND pets) I would never recommend the white denim. Curious how it stays white? Would be great to know because I’ve had customers ask this very thing and I just tend to steer them away from white. So a real customer experience would be good to know! I have a white denim slipcover on my couch. When I wash & dry it, it becomes a wrinkled mess. How do you keep yours from getting wrinkled? Or do you steam it in place after you put it back on? And why did you not prefer a performance fabric? I’ve heard they’re wonderful. 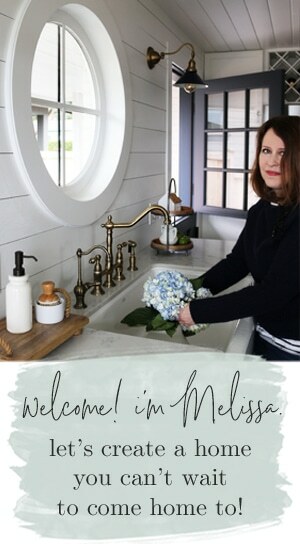 I’m excited for you, Melissa! And boy oh boy do I understand “overthinking” a purchase like this. It IS big! Not so much the price… but the size and style. I’m intrigued by the design… a modern twist. 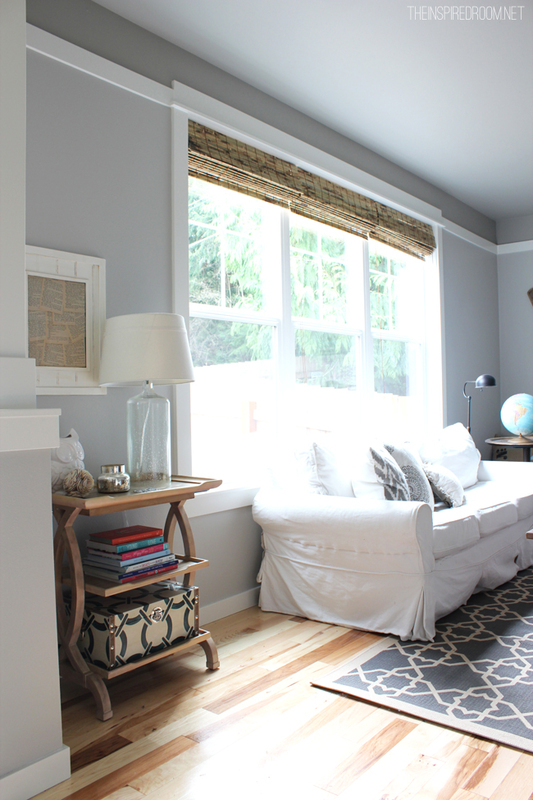 Are you going to keep your daybed in the living room, too? BTW the book is intriguing, too! Hi Diane! Yes, agree size and style are what got me, too (and price, ha). Finally decided on a traditional but modern sofa, the slipcovers are tight fitting which I like for a less “shabby” look and a more streamlined vibe. The shape is more modern but still overall a traditional style. I am hoping to keep my daybed in the living room, but I’m going to decide once the new couch arrives. I may also add the leather back in, but it’s just hard for me to know without seeing it all together. Even if I don’t keep the daybed in the living room it will stay in the house!